When it comes to send a generic gift, something like a gift card, there is a chance you may mess up. In case you are the owner of any gift card, and you are not going to use it in never future or not at all, then you should read this article further. Instead of wasting these unwanted gift cards stuck away in the corner for gifting it to someone in the future, you can simply sell it or swap them online. Gift card exchange can be a tricky thing for some people to do, but this article will provide you much needed necessary information along with a list of popular online gift card marketplace. So, where to buy, sell or swap these gift cards’? Gift cards are something you can sell and earn some cash from it. For this simple reason, you don’t have to swap them on a website like eBay. Reason being that if you put the gift card on eBay, then its balance can be used up within few seconds even though you don’t have a physical card in hand. That’s why eBay can be a dangerous place when it comes to selling and buying gift cards. Sellers often risk scammy buyers who purchase cards, use up the balance and then claim that the particular item was not as something that was described. In case of buyers, they can be scammed by anyone who sells the gift card, uses the balance after selling it before the card is delivered to the buyer. So, instead of selling your gift card on eBay, you can sell your gift cards on gift card marketplaces which are particularly dedicated to swapping cards. In these places, the exchanges offer a balance guarantee on any card which is purchased through them and hence it avoids some scammer using the card balance after it’s been sold. Most of these exchanges often work as a middleman between the buyers and sellers. That means that you are essentially dealing with a company rather than an individual who may be a scammer. Now, look at the various aspects of buying and selling gift cards after which we will discuss the best marketplaces for buying, selling and swapping gift cards. Selling gift cards to a person can provide you cash at that moment, and you don’t have to wait for a company to receive the gift card. Most of the people sell their gift cards online as they can get higher returns and it is often difficult to find a physical store where they can buy gift cards. One feature that you need to be aware of is mobile gift cards, which are offered by some websites. A mobile gift card consists of a code which displays on any mobile device and works just like a plastic gift card. It comes with the best features of a standard electronic gift card. There is the best place to sell gift cards for everyone who wants to sell their own gift card online. However, each site has their own set of restrictions. Most of them have various maximum as well as minimum exchange amounts which can make you opt out of it in case you are trying to sell which is either low or high balance gift card. In most cases, your gift card must have a minimum balance of $10. However, the maximum amount varies as per sites, but it ranges from $200 to $400. On few sites, there is buying and selling fees associated with it as they take quite a significant percentage of your payment. However, the best services don’t have such restrictions. Once you have sold your card, most sites offer different payment options such as cash, check, PayPal or Amazon gift cards. Some give company credit too while some allow you to gift card exchange for another. In case you don’t find the desired gift card then most sites allow you to get signed up so that you will be notified whenever that card is available. Also, try to find those sites which provide free shipping. 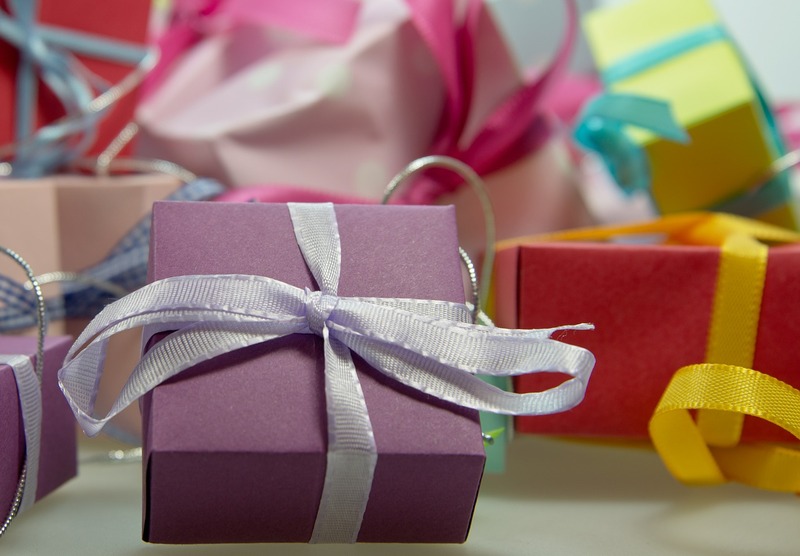 No matter whether you are buying or selling gift cards, companies generally pay for shipping. Most of the sites also offer bulk buying and selling programs which means that you can also purchase a large amount of cards. You may even get discounted prices for bulk orders too. The best sites for gift card exchange are those which have the highest variety of dealers. However, they don’t have effective filtering process, so if you are looking for a specific gift card, then it can be quite hard. Most of the sites do offer search engine along with a retailer search option where you can search for a specific card. On some sites, there are options of searching by category, price, and discount. If you have more search options then finding the gift card is easier. So, if you are looking for the best place to sell gift cards or buy one, then we present you our top three gift card markets. It is an online gift card marketplace to buy and sell gift cards. You can buy gift card directly from the sellers and even sell them directly to the buyers. Hence, there is no user interaction. For sellers, Cardpool offers up to 92% of card’s value while for buyers, it offers discounts of up to 35%. Buyers- Cardpool sells physical as well as electronic gift cards. You can easily search for any card based on the category and also refine your search by type, value as well as the percentage of. It also provides 180-day balance guarantee from the date of purchase. It means that you can use the full value of gift card that you buy within 180 days. Sellers- Cardpool buys physical as well as electronic gift cards. It also pays for you in order to ship your cards to them. They pay out via mailed check or Amazon gift card. In case you choose the Amazon gift card, you are provided with a slightly better rate. Cardpool is the best place to sell gift cards as well as buy them. It is also another online gift card marketplace which allows you to buy, sell and even swap gift cards. What makes it unique is that you can do gift card exchange. CardCash buys gift cards directly from the sellers and then sells them to the buyers directly. The seller can also choose to trade their cards at a better rate in place of taking cash. In case of sellers, CardCash provides up to 92% of card’s value. For buyers, it provides discounts up to 35%. Buyers- CardCash also sells physical and electronic gift cards. You can easily browse cards as per their type, i.e., physical or electronic, or by category. It provides a 45—day balance guarantee from the purchase date which means that you can use the full value of the card that you purchased within 45 days. Sellers- CardCash also buys physical as well as electronic cards too. It also provides sellers the option to exchange their card for other gift cards in place of taking cash. CardCash pays for you to ship your physical cards to the via PayPal, mailed check or by ACH deposit. In case you wish to trade your card for any different card then you have to mail it in. Unlike the above two marketplaces, Raise is a gift-card marketplace which is user-driven, which does seem like eBay but with less risk. On this marketplace, the sellers have to list the gift cards at a certain price, and the buyers can purchase the cards directly from there. Raise doesn’t take any sort of possession of the cards which are sold on its site. However, the sellers have to verify their cards with the company by means of entering in serial numbers along with PINs as well as checking the balance of the card before their card gets lists. That’s why it is considered to be the best place to sell gift cards. Buyers- Since Raise is user-driven you can either find a better or worse deal in comparison to other two marketplaces. Raise offers a 100-day money-back guarantee on all cards which are sold through its platform. This guarantee also cover inactive cards as well as cards with an inaccurate balance. The cards that are not received within 30 days of purchase. Raise also provides guarantee over them too. Sellers- On Raise, you can easily list your gift card for any price you set. This allows you to sell it for more than what other sites offer, i.e., “up to 92% of the value of the card”. However, Raise takes 15% cut of any cards sold through its platform, so you have to count that into your selling price. Once you have sold your card, you have to ship it to the buyer within three days. All these websites that we mentioned here provides guarantees on your purchases. These guarantees confirm that if something wrong happens, then you will get your money back. These websites also have their own FAQs page to address common problems the people face along with the solutions. They also provide an online contact form, phone and email support in case you want to contact the company. Your unwanted gift cards can be a headache or end up collecting dust in a drawer. It is better to sell the gift card or even buy or exchange one from popular online marketplaces which allows you to get the maximum out of your gift cards. By selling your gift cards at platforms for gift card exchange, you get the chance to get something which you desire, which is what the person who gave you the gift card wanted all along. So, what do you think about our article? Do let us know and mention your comments in the section below.